Our Boston wrongful death lawyers understand that in some cases, proving a relationship between a plaintiff and third party may require significant litigation. Vesely v. Armslist LLC, a case heard in the United States Court of Appeals for the Seventh Circuit, involved a woman killed by a man she met on an internet dating website. The man attempted to pursue a romantic relationship with the decedent, but she declined his advances. After being rejected by the victim, the man purchased a .40 caliber handgun from a man in Seattle via an online classifieds page created to facilitate the purchase and sale of weapons. The website featured several disclaimers that stated owners of the site are in no way involved in any transactions between parties and that they in no way guarantee the legality of any transaction conducted via the website. 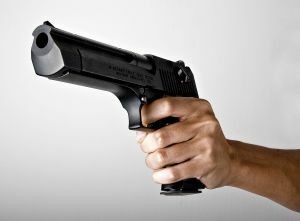 According to the website, any person who engages in a transaction is responsible for following all state and federal laws pertaining to the sale of guns and ammunition, and if a party has any questions, they should contact the U.S. Bureau of Alcohol, Tobacco, Firearms and Explosives (ATF) directly. In this case, the man met the seller in Seattle and purchased the handgun for $400. This sale to an out-of-state buyer is in direct violation of federal law. Once he had the gun, he returned home and began stalking the victim. He shot and killed the victim and then promptly turned himself into police and confessed his crime. He was sentenced to life in prison for the murder after pleading guilty. The seller of the firearm pleaded guilty to the illegal transaction and was sentenced to just over a year in prison. The victim’s brother filed a wrongful death lawsuit against owners of the online classifieds website under a theory of negligence. As your Boston personal injury attorney can discuss, surviving heir of a deceased victim (in this case the brother) can file a claim in the name of the decedent’s estate. This is typically how a wrongful death action is filed. The trial court dismissed the plaintiff’s claim on grounds that the defendant did not owe a duty of care to the victim. In a negligence case, it must be established that the defendant owed a duty of care to the defendant. Normally, a person or company owes a duty of care to prevent foreseeable harm to foreseeable persons and property. This dismissal was based on a motion for failure to state a claim for which relief can be granted. In the Commonwealth of Massachusetts, Rule 12(b)(6) of the Rules of Civil Procedure establishes the basis for this type of motion. Ultimately, the court of appeals affirmed the trial court’s dismissal of plaintiff’s claims for failing to plead a case for which relief could be granted. The appellate court agreed that the website owners did not owe a duty of care to the victim. Thus, there was never any relationship between the website owners and the victim, nor was there any relationship between the convicted murderer and website owners. The requirement for such a relationship stems from the fact that the death was caused by the intentional criminal conduct of a third person.